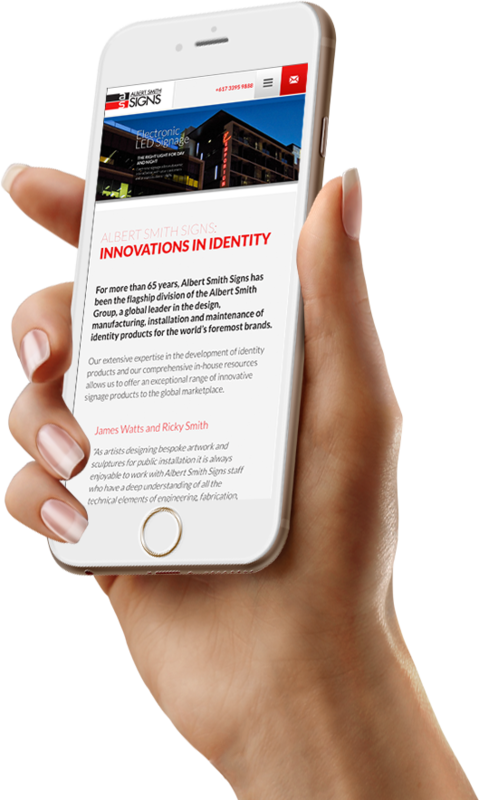 The current Albert Smith Signs website is the second created by Magik Digital, and the fifth created by Magik for the Albert Smith Group as a whole. Based in Brisbane, Albert Smith Signs is a global leader in signage for recognised brands worldwide. The company’s services include manufacture, installation, and maintenance of a range of signage including building signage, pylon signs, 3D lettering, high-level signs, way-finding signs, digital and led signs, and public art. The company have undertaken numerous large-scale projects for well-known brands such as Coles, Westfield, BP, Woolworths, and Meriton, as showcased on the website. 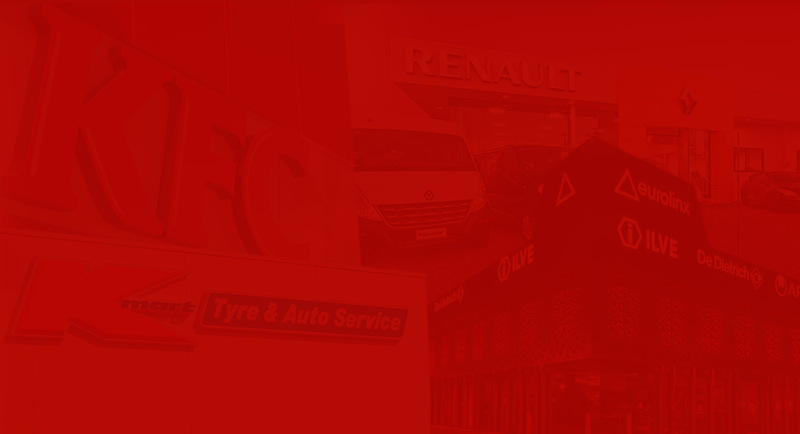 Albert Smith Signs is very much a visual site, comprising an impressive array of large screen visuals, banners, photography and videography, as well as content and video scripts provided by Magik Digital. The site’s content provides a story-telling component to complement the range of visuals. Products the company offers are clearly shown and easily accessed, with each product featuring impressive photography, content, and a short, user-friendly explainer video designed to assist in user retention. 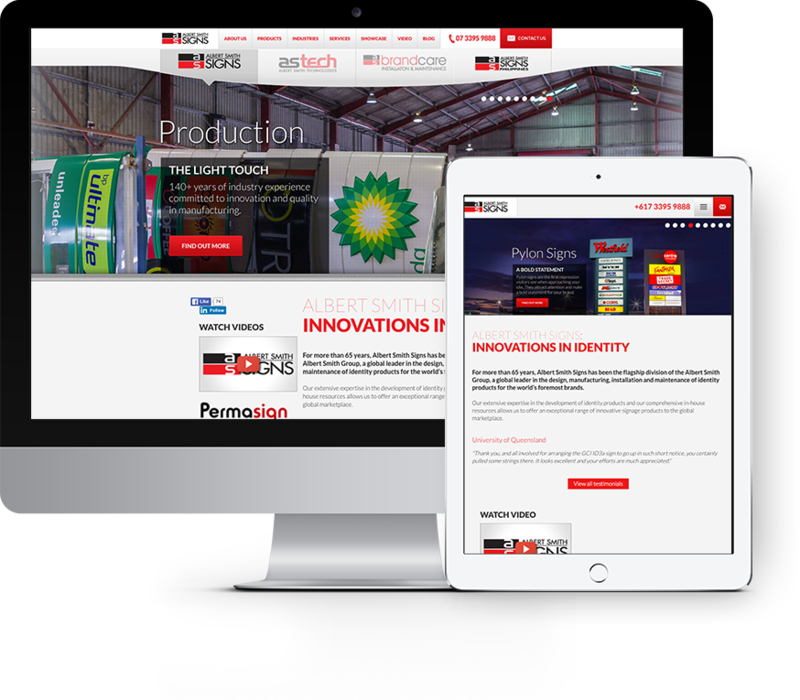 Information sheets on each product are also easily downloadable for visitors to the site, which not only assist site visitors but also provide a valuable marketing tool for the company. The site’s product pages have been specifically built as micro-site landing pages by Magik Digital for SEO purposes. Albert Smith Signs provides products and services to a wide range of industries, which are clearly listed on the company’s website. Such industries include automotive, hotels, transport, petroleum and retail, with a projects gallery included on each page. Services provided by the company are also clearly visible and include installation & maintenance, research & development, project management, permit management, and site surveys. The Albert Smith Signs website focuses largely on visuals and presentation, showcasing impressive photography and product overviews, clearly presenting the brand, products, and services provided. A range of testimonials is also featured on the site, as well as regular blog posts – including video blogs – news, and FAQ’s. A contact enquiry feature is conveniently located on each page for visitor ease of use. The Albert Smith Signs site is a unique, highly visual site, with artwork and content carefully selected to reflect this. The visuals of the site tell the story throughout, enabling visitors to easily understand the company’s role without being bogged down in content. The structure of the site provides a consistent structure and layout throughout. The site ranks exceptionally well in Google due to the way the site as a whole and its individual pages have been built by Magik Digital. As with all Magik Digital sites, albertsmithsigns.com.au is mobile responsive, desktop and laptop friendly, offering excellent visitor useability.